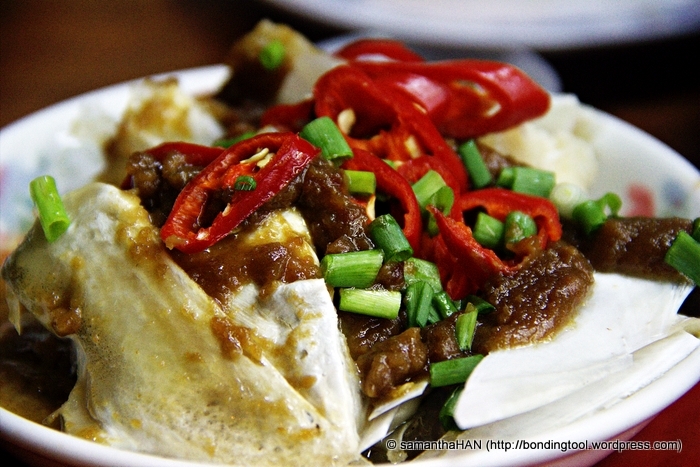 BONDING TOOL: Chinese Tapas, Anyone? 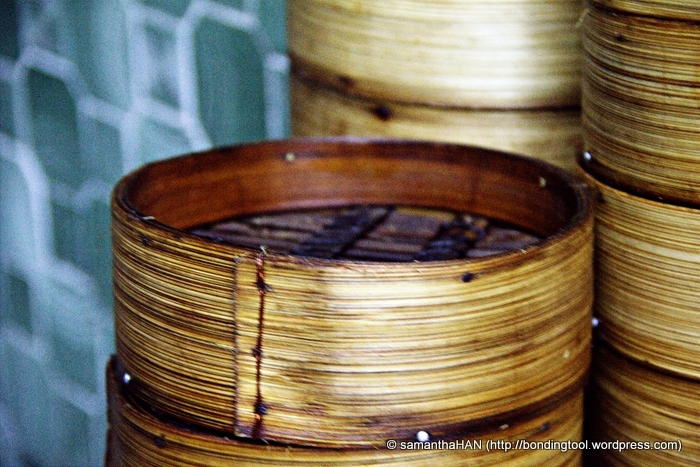 Steaming baskets… What are they for? Why, is to steam Chinese tapas, of course! You place your order by writing on a piece of paper the number according to the pictures in the menu. Just like a karaoke song request. 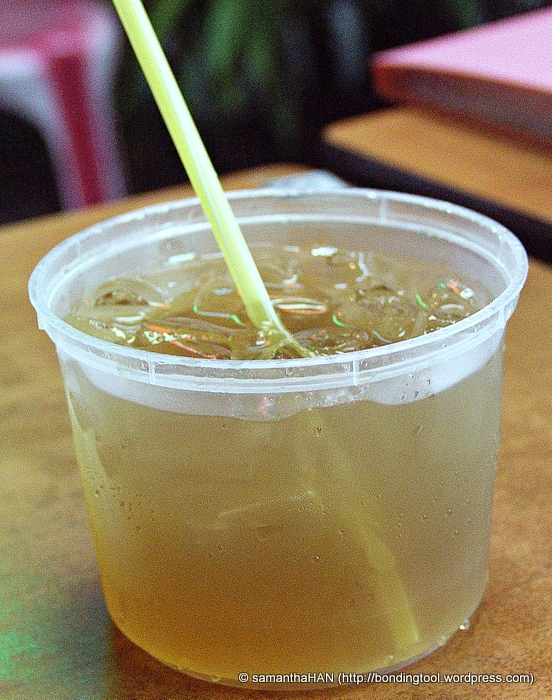 Chrysanthemum tea served in a take-away tub. Value for money, eh? 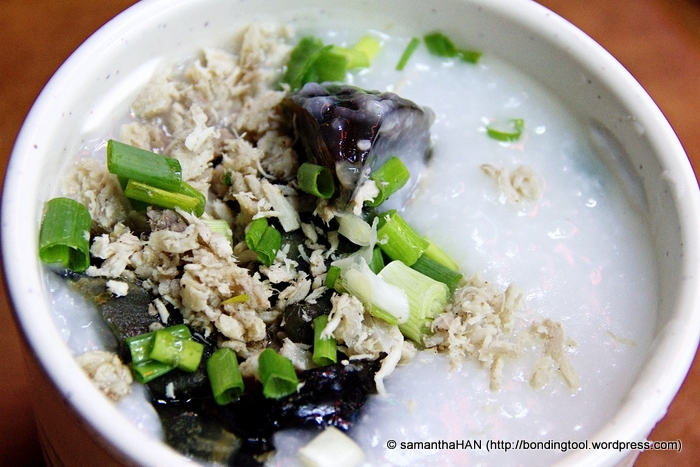 First order that came through is my all time, century egg with lean pork porridge. 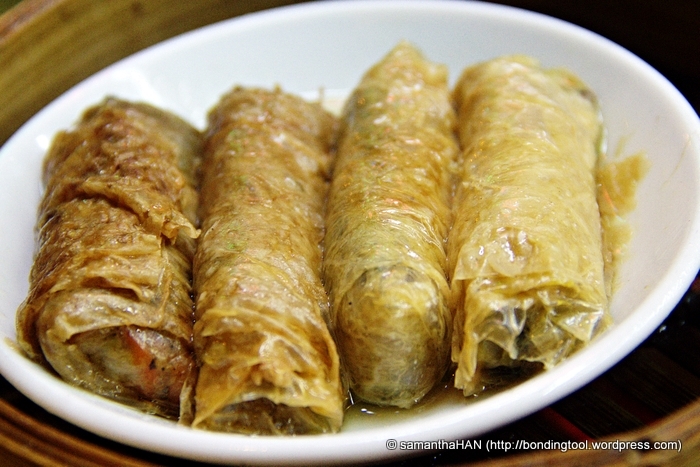 Luohon Zai – vegetable rolled in beanskin wrap. 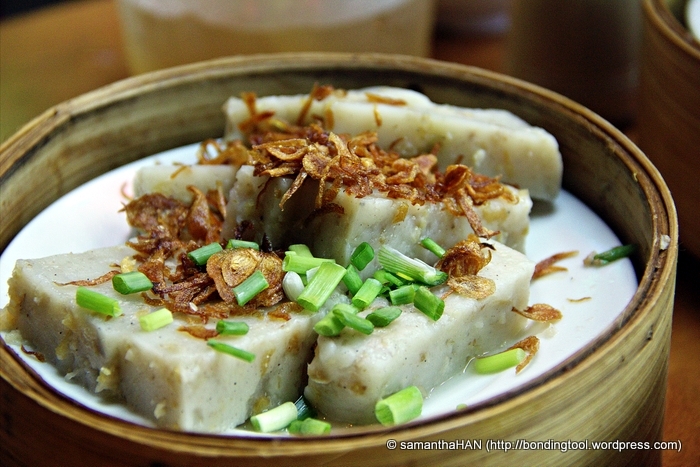 Ever tried steamed otah otah? 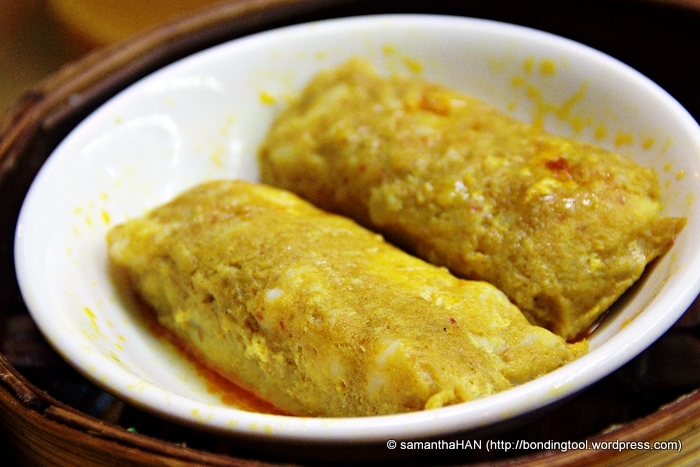 It’s spicy fish paste, coconut egg custard with some slices of fish meat. 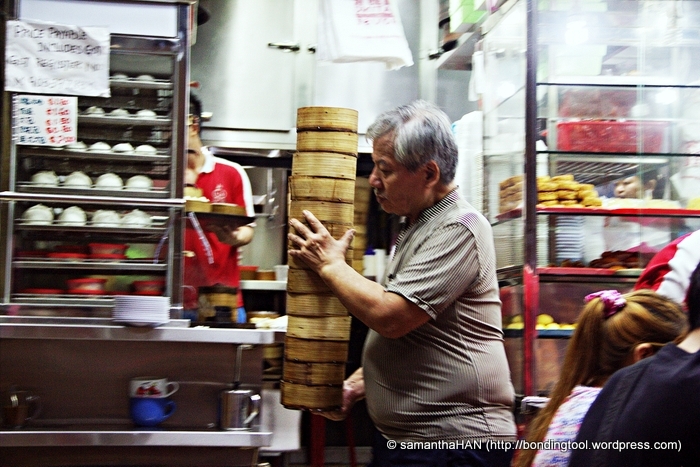 This item is usually wrapped in banana leaves and grilled. 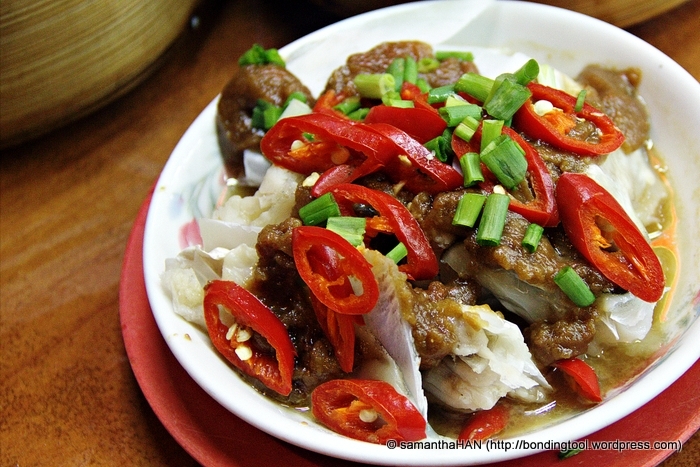 Steamed fish head in single portion size. 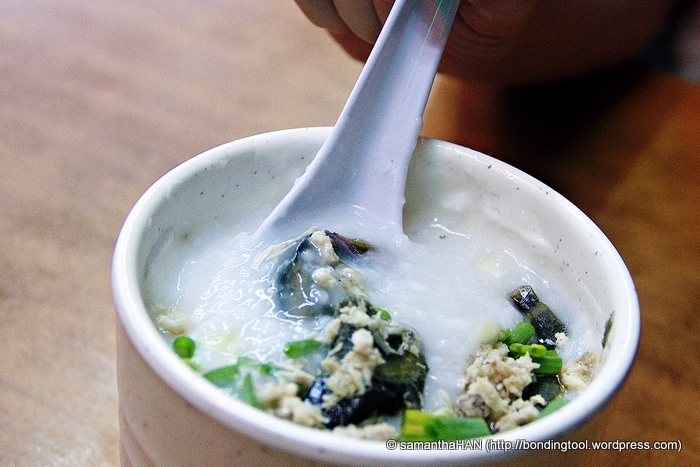 The taucheo (fermented salted soy beans) lends a wonderful aroma and taste to the dish. I seldom, if ever, find this served in “upper” class restaurants. There are some chunks of meat too, if you don’t fancy the gelly bits. 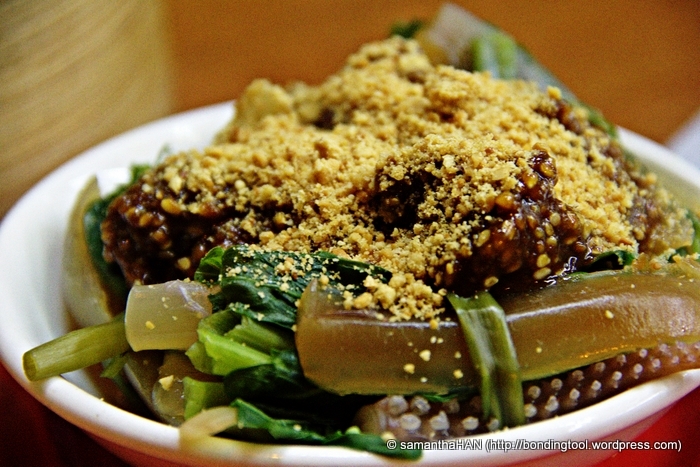 Alkaline-soaked cuttlefish and morning glory (kangkong). A little over-cooked for my liking but my friend adored this. 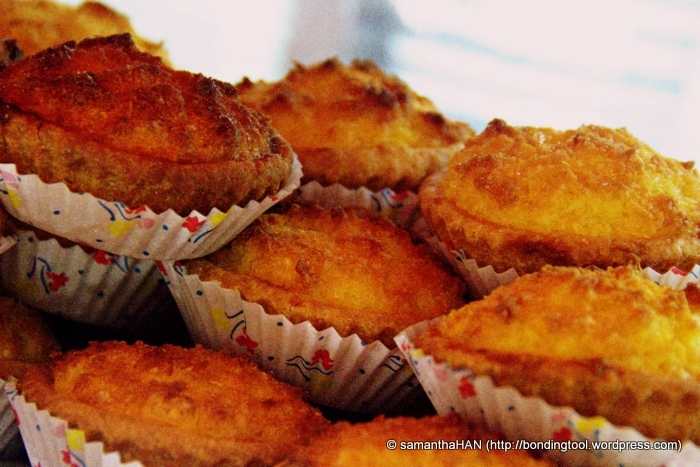 Coconut tarts – a Chinese delicacy for dessert. I am quite picky when it comes to dim sum. When I have set my mind to try all (now I can’t try all – the price of getting older) the little wonderful nuggets and the restaurant doesn’t live up to my expectation, I get pretty upset. Afterall, I do not eat 3 meals a day so I expect a decent, unpretentious stimulation of my tongue when I do eat! 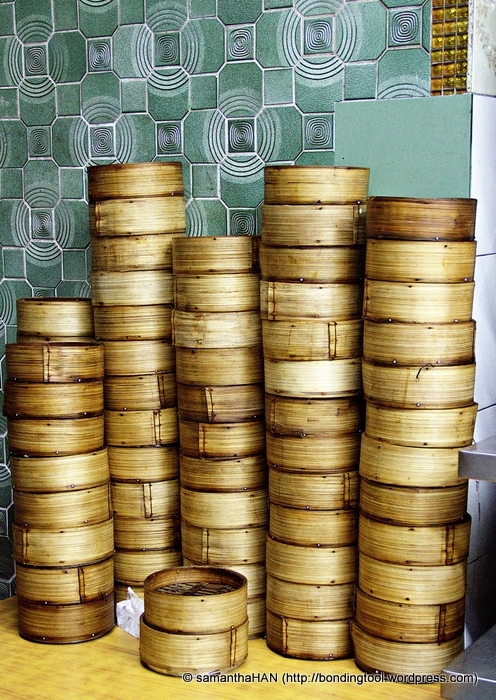 This dingy looking place in the dodgy bustling red light district of Singapore is a real gem when it comes to satisfying your dim sum cravings anytime of the week. The place has outdoor and indoor (air-conditioned) dining areas yet they are always full. Luckily they are opened 24 hours a day and to be sure I get a place, I usually visit them in the wee hours of the night. 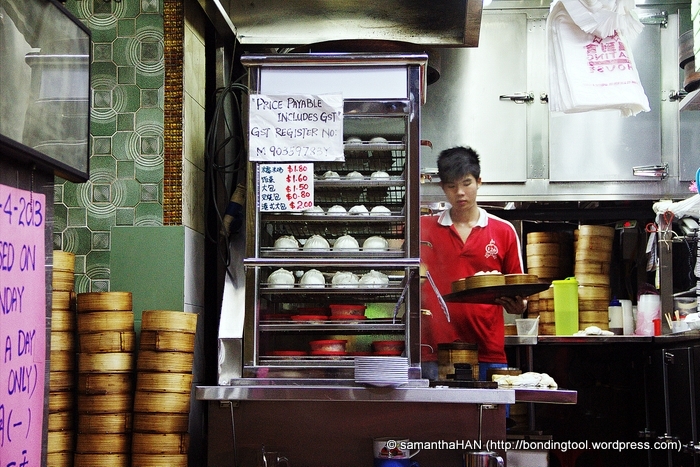 The set-up is old school Hong Kong style dim dum serving more than 70 yumilicious items ranging from deep-fried, pan-fried, steamed, baked, claypot congee to even crab bee hoon if you can stomach that in the middle of the night. Since there are so many items on their menu, one visit is not enough. 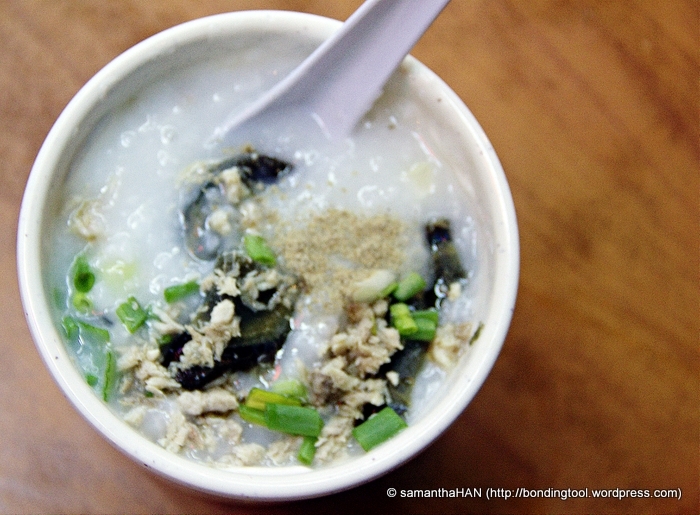 I shall go back again to try their roast duck congee served in claypot, lotus leaf rice, chicken curry chee cheong fun, steamed pork ribs, steamed chicken feet (dig that?) and whatever I can gorge on the next and next few more visits. Can I really eat that much? Perhaps a week’s diet can take care of that. 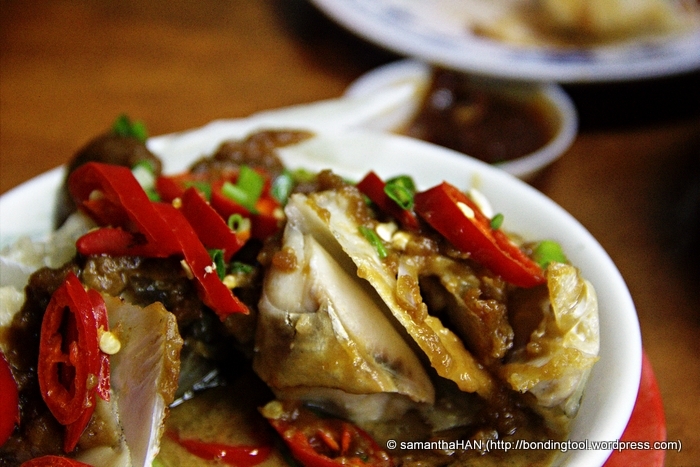 I would definitely recommend anyone who wants to get their dim sum fixes here, any time of the day, for quality affordable… you got it, Chinese tapas! 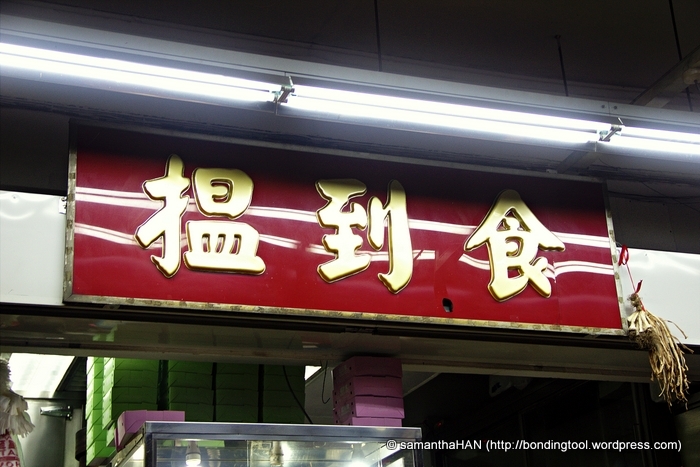 126 Eating House (揾到食) @ Geylang, Singapore. This meal (6+1 items) costs around S$25 for two which you probably have to double or triple the price in the shopping mall outlets. For example, Gold Leaf Melbourne where Ray, Vanessa and I went to just before I came back to Singapore, in my Yum Cha Is Chinese Brunch post, the 9 items cost slightly under AU$100. A patrol car came when I was taking photos of an old building across. The police’s presence alerted me to the existence of these ladies and the shot was captured unintentionally. Also, I thought it better to blackout the car number just in case the car owner might get into “trouble” assuming it’s a he in the wrong place at this ungodly hour of the night. All i can say was yummy ,i remember the dish that my wife did for me after i fix my car luckily i got a complete tools that i bought in Finland and i finish in an our the problem from my car.Well good to see those dishes it make me hungry.